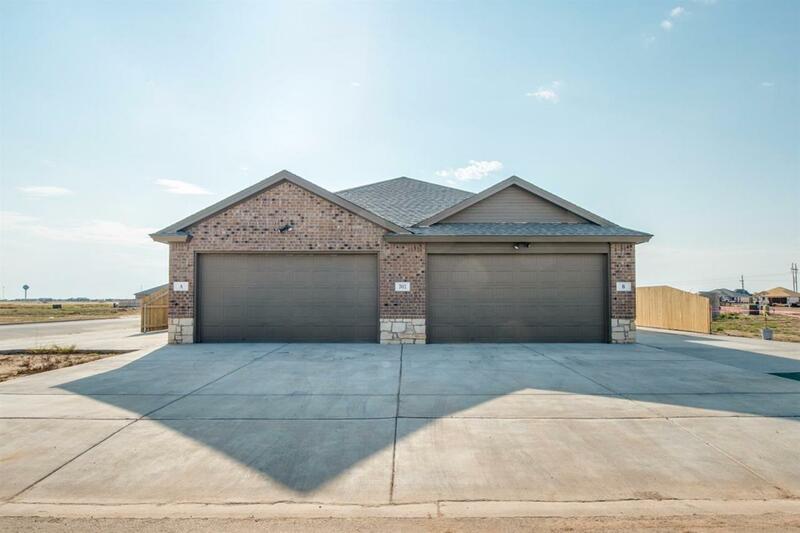 Luxury duplex, 3/2/2 quality NEW construction by DALLAS LARAE HOMES! Granite kitchen countertops, custom cabinetry, extended height on garage doors to accommodate taller vehicles, and artificial turf. Plus 9 ft. ceilings, huge master closet, and outstanding workmanship make this the whole package! Bigger than Dallas - Larae Homes is Lubbock local! Energy Features Double Paned Windows Fiberglass Batt Ins. Listing provided courtesy of Teresa Smith of Exit Realty Of Lubbock. Listing information © 2019 Lubbock Association of REALTORS® MLS.